We can suit your schools "Hot Lunch" special needs, on a one-off, daily, weekly or monthly basis and build a program that works for you. Your students will now be able to enjoy a healthy hot meal (at a very reasonable cost) without the hassle of leaving the school grounds, while also allowing students to try our more popular Greek menu items and create a unique eating experience! We work hard to ensure the process is stress-free. We can package, separate and label the meals based on classroom, type or your specific requests. All the way from order to delivery, we’ll make the process quick and easy. 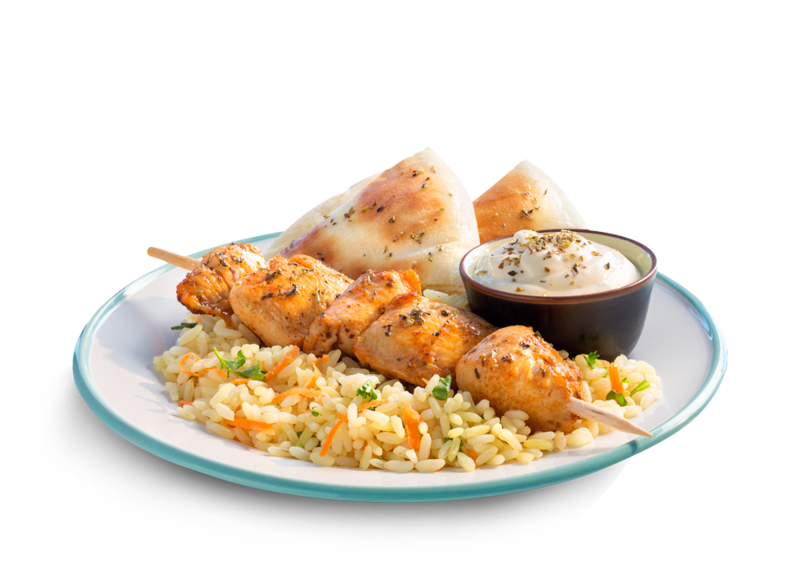 Meals include chicken skewer with tzatziki (1/2 size or full), rice pilaf, pita bread. Inquire about vegetarian options. • In our day to day operations, we take our customers food allergy sensitivities seriously. Any potential allergies should be discussed with the OPA! representative. Find a street front Opa!